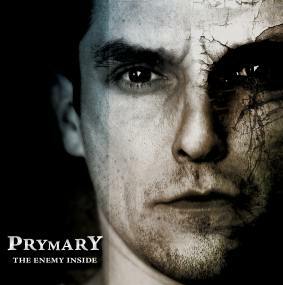 Prymary from Southern California were formed in 2003 and this is their third record. The first 6 tracks on the CD are all part of the title track, The Enemy Inside, and this also features two instrumental tracks, including the opening track. This is a pretty intense instrumental track with a great guitar and keyboard solo in this hard rocking uptempo piece. Part 2 reminded me of Kansas while Part 3 starts with a very heavy guitar and is instrumental and takes off where the 1st part left off. Part 4 is ballad with piano that leads into the next part with which briefly starts with acoustic guitar. This is a dramatic piece with a nice piano solo to balance the hard rock guitars. I am not really a fan of this white noise like pad synth-keyboard that they use in this track and sometimes on others. It just distracts. Inflicted is a great song, reminding me a bit Fates Warning. Heavy stuff, but again I don’t care for this keyboard noise. Disillusion shows a change in the vocal style and is a more aggressive track. Edge of Discovery is a huge change and sort of floats in before the monster riff is laid down and the keys begin to dominate. Later some totally ripping guitar is laid down while still maintaining a great balance between heavy riffs and melody. Trial and Tragedy is the 20 minute closer and quite an epic piece. An excellent third CD by this California group. The band have great arrangements and can really rock out as well and not get totally caught up in being the most progest or prog. Solid playing from all members. Sometimes they remind me of a more modern Kansas without the violin.